The Ottawa International Animation Festival has posted its selections for 2012. Congratulations to everyone whose film will screen. In the period between the discovery of the principle of persistence of vision and the invention of flexible film stock, animation was born. It was made with a variety of toys, all given impressive Greek names like Thaumatrope, Phenakistoscope and Zootrope (see the comments for the derivations of these words courtesy of Daniel). These toys combined drawn or painted images in ways to give the illusion of movement. The technology behind animation has become a lot more sophisticated, but it's all built on on the same principles exploited by these toys. Richard Balzer is a collector of these toys and the images they used and he has a site where the images are animated via Flash. This means that if you're browsing on an iPhone or iPad, you will not be able to see the motion. He also has a blog that deals with these toys as well as other 19th century amusements such as the Magic Lantern. Readers of this blog will know how interested I am in creators' rights. Some of the most famous characters of 20th century pop culture were created under dubious legal and financial conditions. The copyright to Superman was transferred from Jerry Siegel and Joe Shuster, the writer and artist, to their publisher for the sum of $130. 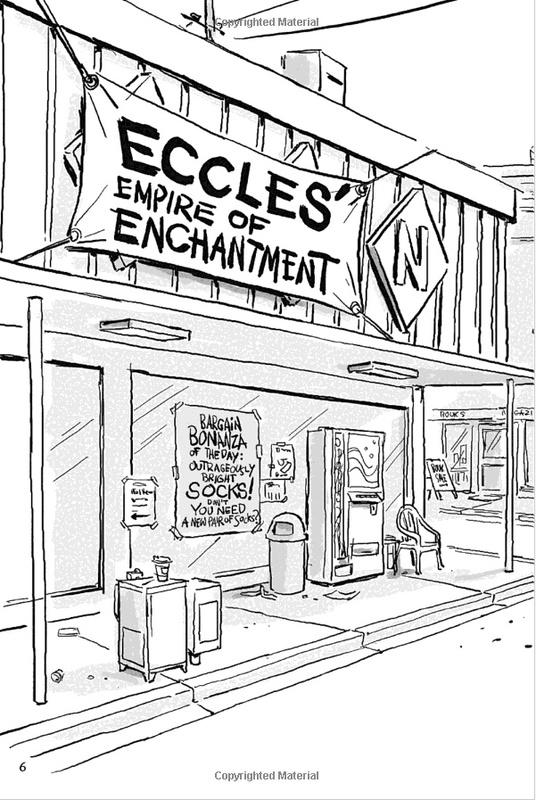 That was $10 per page for their first 13 page Superman story. In order to get paid for their work, they lost control of their creation. The latest U.S. copyright law allows for creators who sold their copyrights to regain them during specific time periods. If the creators are deceased, their heirs have the right to pursue the copyright. Jerry Seigel's heirs have filed to regain their half of the Superman copyright. Joe Shuster's heirs are eligible to file in the near future. Both are represented by attorney Marc Toberoff. On the face of it, it's a nice, clear story. Two little guys were taken advantage of, lost millions of dollars as a result, and now their families are going up against a large multinational corporation to get just compensation. A David and Goliath story with an ending that should be a foregone conclusion. However, the story is a lot more complicated and I urge you to read this entry by Daniel Best. Even if you skip over the actual legal documents and just read Best's commentary (scattered throughout the documents), you can see that the families have made some poor decisions and done some questionable things. Their lawyer appears to be working for himself as much or more than for his clients. While I am not a fan of large corporations, Paul Levitz, a comics fan who eventually became publisher of DC Comics, acted more ethically than others in this dispute. If nothing else, this situation just emphasizes the importance of owning creative properties. It is important for creative people to understand the problems that can result from giving up ownership. While the animation business doesn't perfectly mirror the comics business, the issues are the same and stakes are equally high. If you have created something on your own and are looking for somebody else to finance it or market it, make sure you understand the repercussions of transferring copyright and allowing someone else to establish the trademark. If not, the result might be several lifetimes of pain and legal squabbling. ...I'd like to point you to a post, now a year old, called "Growth, Maturity and Decline." My impression is that Pixar is done. That doesn't mean that they won't make the occasional film that is exceptional, but the initial energy that propelled the company creatively is gone. It was inevitable; they are now predictable. In terms of the previous article, they are a mature company. The question now is when does the studio enter its decline? This is not a criticism of the company so much as it is a sad observation. July6-8 was the first TAAFI festival. 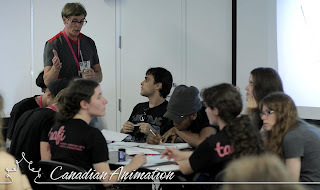 TAAFI stands for Toronto Animation and Arts Festival International. I suspect that the acronym was chosen before the full title was worked out, but that's okay. TAAFI is catchy. Ben McAvoy and Barnabas Wornoff are the two guys who made it all happen. They spent the better part of a year pulling everything together and I have to say it was a successful festival, especially for a first-time event. The TIFF Bell Lightbox, located in downtown Toronto and easily accessible, was a good venue, keeping all the events under a single roof. The fest was a good mix of screenings, workshops and presentations and there was more happening than any individual could take in. Some of the events included a screening of Rock and Rule with a reunion of some of the crew, the North American premiere of Ronal the Barbarian, a northern European 3D cgi feature that parodied sword and sorcery movies, workshops by Charlie Bonifacio on posing, Peter Emslie on caricature and John Kricfalusi on story development. 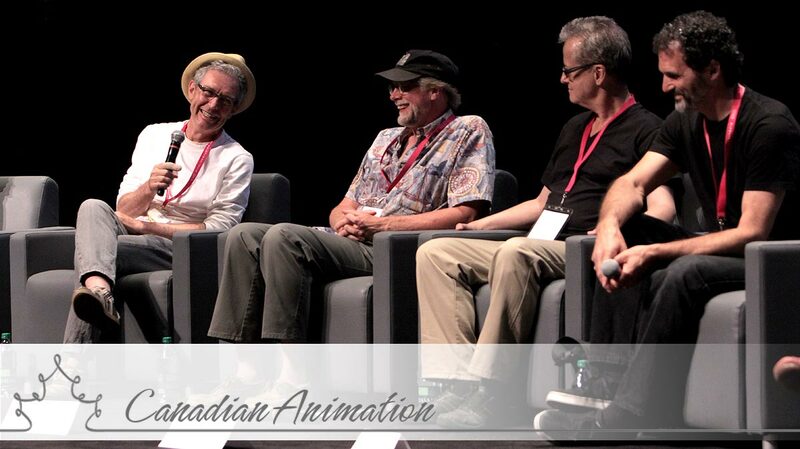 There were panel discussions on games, the state of the Ontario industry, independent animators and a retrospective of Kaj Pindal's career. There were four programs of shorts and a separate program of student films all programmed by Mike Weiss. I know from talking to Ben that the festival was a financial success and that there are plans to do it again next year. 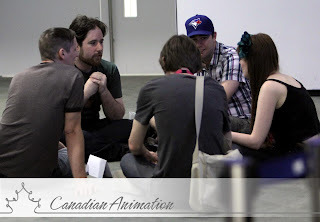 While there are organizations like The Toronto Animated Image Society (TAIS) and the Computer Animation Studios of Ontario (CASO), Toronto has been a fragmented animation commmunity. Here's hoping that TAAFI continues to be successful and serves as a hub and rallying point for the Toronto animation community. I didn't have my camera with me over the weekend, so the following pictures are lifted from other sites or individuals. Below are shots from Grayden Laing's blog. Facing the camera: Adam Hines and Andrew Murray of Guys with Pencils. Facing away from the camera, Nick Cross, Rex Hackelberger and Marlo Meekins. You can hear a podcast interviewing Cross and Meekins here. John K. leads his workshop. From the Rock and Rule panel. L to R: Robin Budd, Scott Caple, Willie Ashworth, Charlie Bonifacio. The photo below is by Sanaz Asli. That's me on the left moderating a question and answer session with Kaj Pindal. 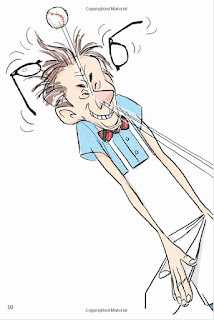 Here's an interview with Bill Plympton, where he gives advice to independent animators. The piece includes video clips. 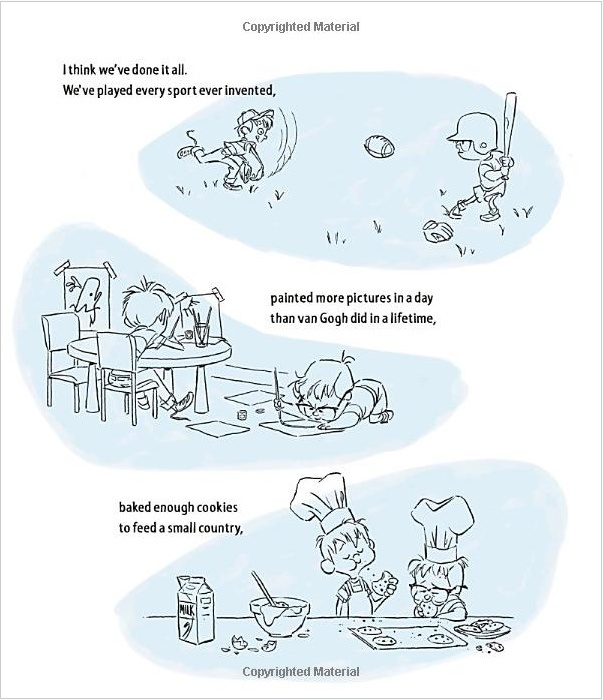 And there's a link at the bottom to "4 Lessons in Creativity from John Cleese" that's also worth reading. Tony Fucile is an animator and visual development artist who has worked on The Little Mermaid, Aladdin, The Lion King, The Iron Giant, The Incredibles, Ratatouille, Up and other films. He is also an illustrator of children's books, and that's what I'd like to focus on. 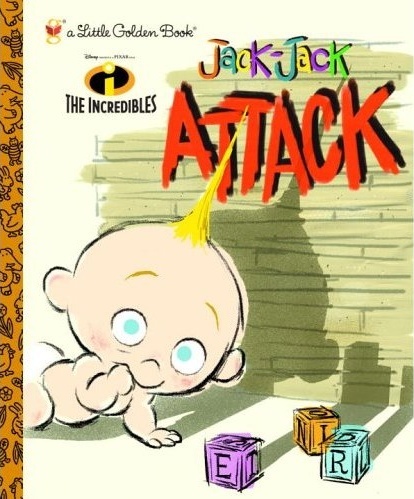 I first became aware of his art in books in Jack-Jack Attack, a Golden Book that was part of merchandising for The Incredibles. 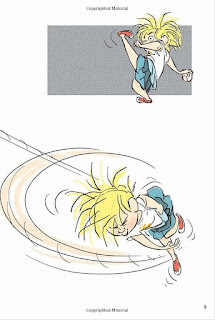 His drawings are spare, but spare shouldn't be confused with simple. His characters are solidly constructed and his compositions are nailed down, but everything is delineated with very few lines. While those lines are somewhat rough, they are very expressive. Slickness is not high on Fucile's list, but his other qualities are so outstanding that it isn't missed. Fucile both wrote and drew Let's Do Nothing, a story of two boys desperate to come up with a way to fill time. You can see from this example how strong Fucile's poses are, a result, no doubt, of his time as an animator. 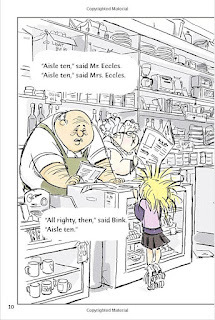 I think that my favorite Fucile work are the two volumes (so far) featuring Bink and Gollie, a Mutt and Jeff pair of girls who are best friends, written by Kate DiCamillo and Alison McGhee. 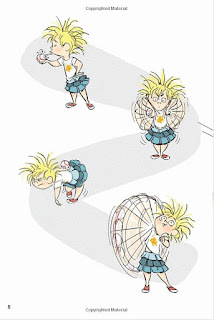 Fucile conveys their personalities clearly through their poses and facial expressions. 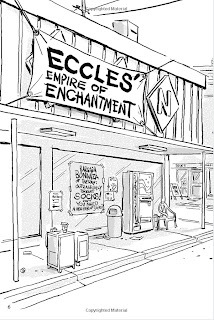 While I've been focusing on the character drawings, Fucile is no slouch when it comes to backgrounds either. 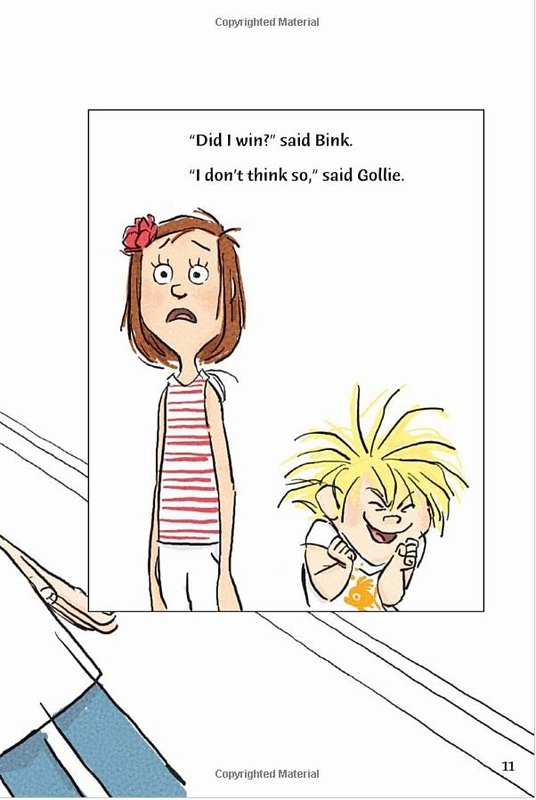 In the latest book, Bink and Gollie: Two For One, the authors seem to be stepping back, allowing Fucile to carry more of the story through drawing. 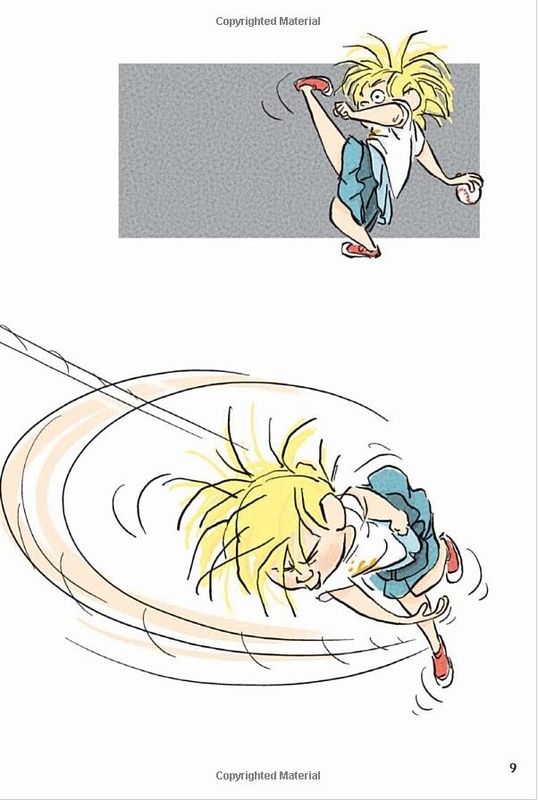 This sequence is from "Whack a Duck." 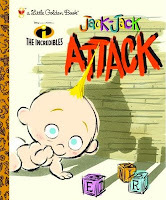 One of the ironies of this story is that the "violence" shown would be considered inappropriate in children's television. 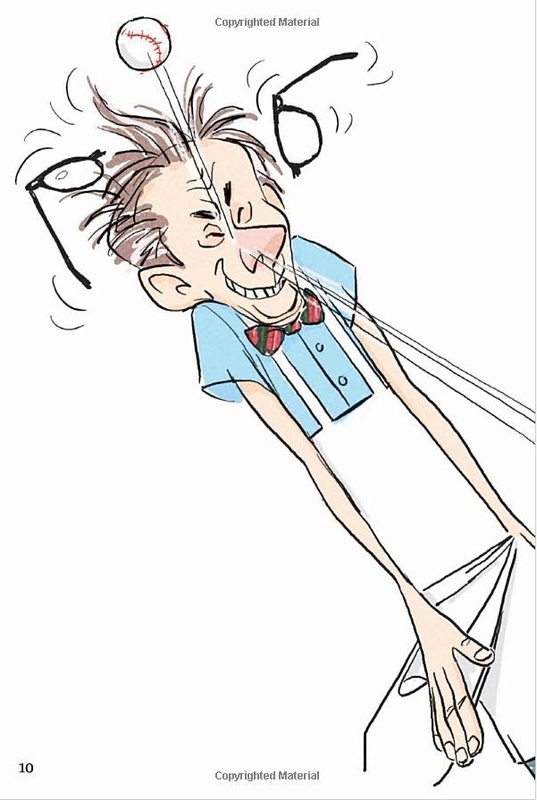 The man with the glasses gets increasingly battered as Bink continues to throw baseballs, but as the drawings are funny, the effect is humorous, not painful. 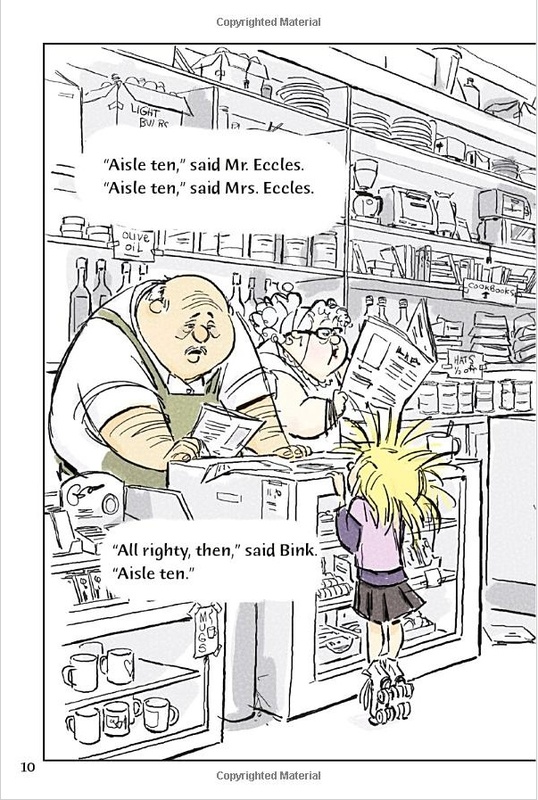 It's good to know that publishers are not as skittish as broadcasters and good to know that Fucile is free to draw cartoon slapstick. Many animation artists are doing work outside the field these days, searching for greater control or at least for the chance to sign their work. 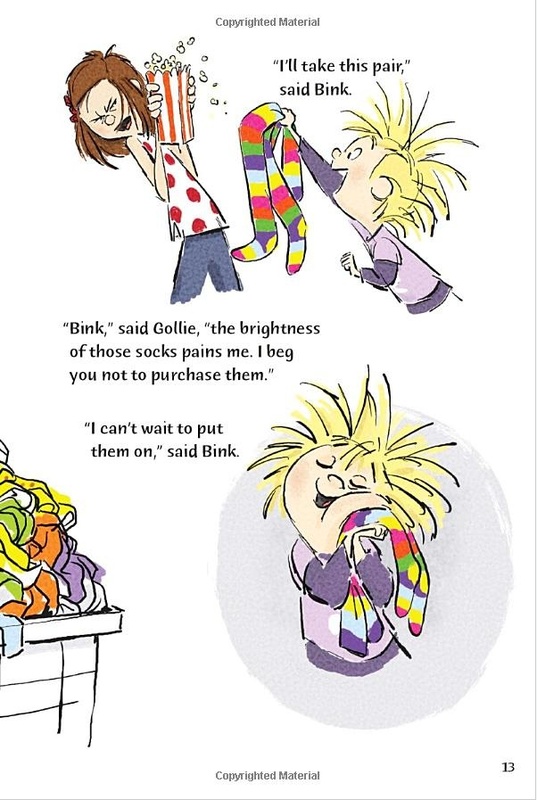 It's a positive trend and I'm grateful that Tony Fucile is illustrating books. His drawings have given me a lot of pleasure and I look forward to whatever he'll be illustrating next.